At 13,796 feet, Mauna Kea on the Big Island of Hawaii is the tallest point in the Pacific Ocean. It’s a confounding place. Like the Grand Canyon, it takes a surprising amount of time simply to believe your eyes. The summit and the valley immediately below the top are barren stretches of red-black rock. It’s hard not to think of Mars. But then — at least for me, on my first visit in 1991 — the view opens up. Look north across the strait between the Big Island and Maui and there’s Haleakala, the next giant volcano in the chain. To the south, Mauna Kea’s twin, Mauna Loa, bulks across half the sky. West, past the golf courses and beach hotels of the Kohala coast, there’s nothing but the broad Pacific — on a clear day, a sheet of utterly, impossibly cobalt blue stretching to the edge of the earth. No mere photograph prepares you for first sight on Mauna Kea. For me, the experience was shot through with two truths: how almost impossibly small each of us is within the natural world — and how utterly interconnected that world is, to itself and to each infinitesimal self peering though it. Look at the peak rather than from it, though, and the scene shifts. Mauna Kea possesses a unique combination of attributes: usually clear skies, high altitude, stable air, almost no light pollution. The first astronomical observatory appeared on the mountaintop in 1970, a gleaming white dome visible for miles. In the 45 years since, the near-perfect observing conditions have brought a flock of telescopes to land on and just below the summit ridge, 13 in all, including the two largest optical instruments now in use. Astronomers are not the only ones to prize Mauna Kea, however. The mountain is sacred within the native Hawaiian tradition, a home for gods and the junction between the earth and the sky. There are ancient burial sites, and more than 140 shrines have been found so far. To this day, the mountain remains a focus of Hawaiian spiritual practice. Even so, for most of the last half century, the observatory complex has expanded in the face of only seemingly minor objections from local communities. But Mauna Kea’s proposed 14th telescope has changed all that. The dispute over the Thirty Meter Telescope — the TMT — has been simmering for some time, but it finally came to wider media attention on April 2, when a dozen activists were arrested for blocking construction crews below the summit. Work at the building site has since been suspended, and the protest movement has spread, perhaps most significantly, into social media. Last week, Hawaii’s governor endorsed construction of the TMT, with the caveat that 25 percent of the existing telescopes on the site be removed. Perhaps inevitably, the dispute has been framed as the latest skirmish in the long-running campaign pitting science against religion. That’s a mistake, one that makes it nearly impossible to find a way to speak about what’s at stake in a way that makes sense to both sides. 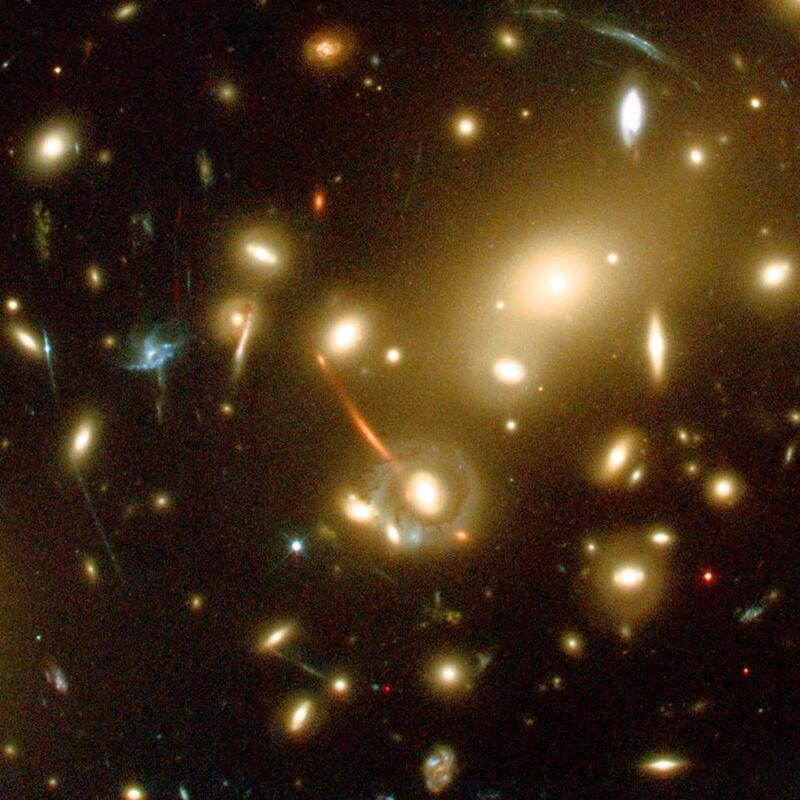 For the last century, each leap in telescope diameter has generated exceptional discoveries, from finding out that our universe is expanding (and hence has a history and an origin) to the recent revelation — spurred by observations made on the Hubble Space Telescope and the largest land-based optical instruments — that three-quarters of the universe is made of a mysterious phenomenon called dark energy. The use of the words “native” and “horde” had the impact one might expect: Here were senior astronomers, leaders of the field, calling their opponents a mob — with the overtones the word “horde” brings of savagery, the maddened rage of the unenlightened. This was the language of outraged power, to whom opposition is not just an obstacle, but an insult. To the opponents of the TMT, of course, Mauna Kea is hardly a “big rock.” Within Hawaiian tradition, Mauna Kea contains multitudes. Keolu Fox, a geneticist of Hawaiian descent writes that the mountain “is sacred to the Hawaiian people because it represents the beginning of our oral history.” In traditional Hawaiian society, the summit was forbidden to all but the highest ranks. Science is universal. Its methods, practices, and results are the same everywhere, reproducible anywhere, accessible to anyone. Isaac Newton found that force equals mass times acceleration, and F=ma is as true in Beijing or Capetown as it is in Boston — or atop Mauna Kea. Astronomy was once supremely practical. Decisions about marriage, the planting of crops, or whether to go to war were all once decided by the stars. Problems of navigation occupied professional astronomers well into the 19th century. Not any more. None of the deep space telescopes that humankind has placed on mountaintops since the beginning of the 20th century serves any immediately useful function beyond Einstein’s contemplation of this huge world. Just look at the TMT’s goals: to reach back to the epoch of the first stars, to search for new planets and nascent stellar systems, to dissect the mysteries of exotic forms of matter. None of these have anything to do with the price of eggs. These are fundamental questions. The contemplation of them requires instruments like the TMT. Doing so offers liberation, an escape from the mundane, a kind of transcendence. If that sounds familiar, it should. That’s the same promise that many forms of religious practice offer. And it’s recognizably similar to what the Mauna Kea protesters say they seek to defend. I do not make here the old bad argument that religion and science are basically the same, just two ways of knowing. They’re not. Science creates knowledge of material experience that cannot be produced by any other means. Its measurements, methods, and results are indeed common property as no particular religious commitment can be. But the TMT dispute shows where the science versus religion trope goes wrong. The Hawaiian protesters haven’t said that Mauna Kea’s telescopes are inherently impious, or that the data they collect is somehow wrong, or that Hawaiian mythology is a better account of the cosmos. Rather, the value, the joy, the need the observatories satisfy may indeed satisfy many, but not those continuing a Hawaiian tradition that allows its heirs to find connection with memory, with history, with nature — to achieve the same transcendence sought by those who find beauty in the measure of the universe. Language matters. Finding a common way to express what’s at stake is an essential element in any negotiation, in any dispute. Most important, if one side has more power than the other in a conflict, finding a way to make those more powerful hear what the opposing side is saying is both vital and exceptionally difficult. A personal note: I love astronomy. I have felt joy every time I’ve made it up to Mauna Kea’s observatories. I’m not sure that human beings have ever made more beautiful images than the Hubble Deep Fields. I do hope the TMT project continues, and that from first light it reveals something unimagined. I once made a film about great observatories called “Cathedrals of the Sky” — and that’s what the TMT is to me, a domed source of wonder, a conduit to Einstein’s huge world, independent of mere individual human concerns. But as long as those on Team Science assert — and believe — that what they do is universally valuable, trumping any merely local claim, then the Hawaiian dispute is merely an annoyance to be managed. That’s an argument that cannot be resolved, cannot end. Should it become possible to hear what the other side wants in the same form as what the astronomical community values, then there’s something to talk about, and a way to do so. It may require a bit of uncomfortable modesty from science — it won’t be easy to accept that the beauty of pure research competes with other approaches to connection with the wide world — but the results of speaking a common language may surprise some telescope advocates. That alone won’t solve the critical question, of course. Hearing — genuinely engaging with the idea — that astronomical observation and spiritual practice on Mauna Kea as are matched responses to the same emotional impulse does not in itself make an argument for or against building the TMT. But seeing it that way it is a key step in the discussion that needs take place now. Thomas Levenson is professor of science writing at MIT. His book “The Hunt for Vulcan” will be published by Random House in November. • Q&A: America, the religious?